People won't be able to take their hands off of this fun item! 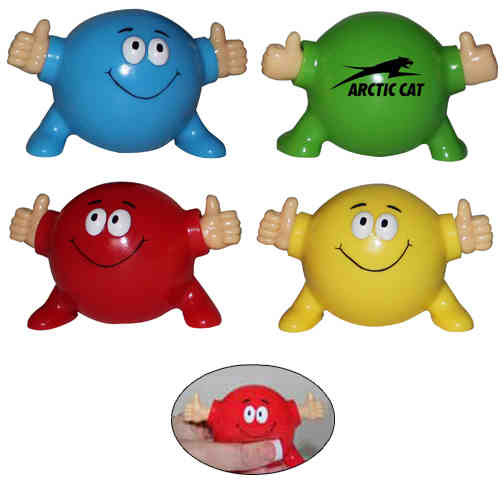 Promote your business with the Thumbs Up Poppin' Pal stress reliever. The hands "pop" out when squeezed, creating a giveaway item that customers are sure to remember. Add to a client gift bag or hand it out to thank people for their business. People will think of you when their stress melts away! This product features a soft rubber material. Grab yours today!